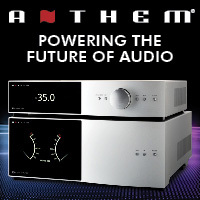 The thought of an integrated amplifier in the context of a high-end system is no longer the “less than” proposition it might have been a decade ago. If you want a high performance system, yet aren’t longing for a massive rack of gear to go with, an integrated is a spectacular solution. 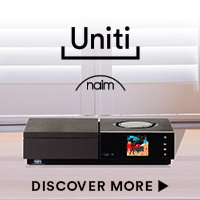 With so many manufacturer’s building great integrateds, now offering excellent phono sections and now DAC/streamers on board, it’s tough to argue with this space saving proposition. Enter the Gold Note IS-1000. This $5,000 integrated amplifier combines a 125 watt per-channel, Class AB power amplifier, full function preamplifier, high resolution DAC/streamer (that also works as a ROON endpoint – bonus) and phonostage based on the PH-10 that hifi reviewers the world over have all given stunning testimony to. It’s a hefty, yet compact box that weighs in at about 45 pounds, so don’t let the svelte shape fool you. Our review sample arrived in basic matte black, but silver and an incredibly nice shade of gold is also available. 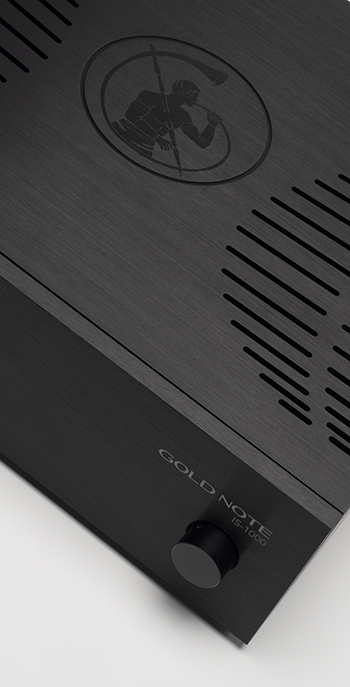 Not quite as heavy in tone as the conrad-johnson products, Gold Note has struck the perfect balance of elegance and being different from the rest of the pack. If I were putting an IS-1000 in my living room, gold would definitely be the choice. Around back, there are just enough inputs to be capable, without a lot of stuff you don’t need. The DAC has three optical inputs, Coax, and USB as well as an Ethernet connection to stream. There is also a wireless antenna, so you can connect your mobile device via Bluetooth – that way everyone can join in on the fun. 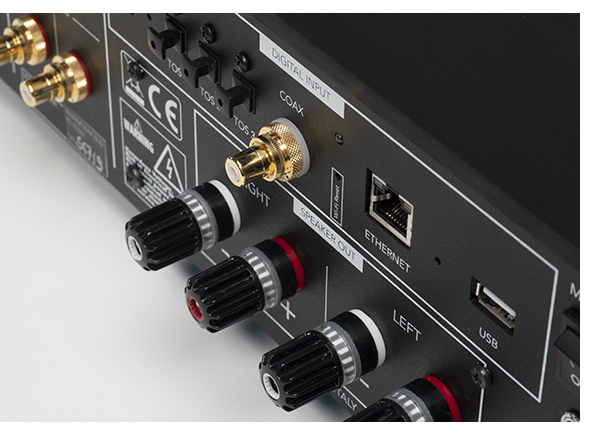 Along with the phono input, which can be configured as MM or MC, there is a set of single ended RCA inputs as well as a set of balanced XLRs. 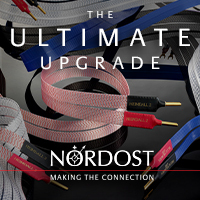 Seriously, other than a turntable, what else would you need to connect? The IS-1000 is a winner at first turn on. 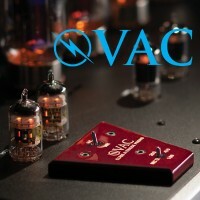 One major point that deserves mention, is just how easy this amplifier is to use. Too often, multifunctional devices are so complicated, that you must consult the manual to even get them to power up. The only thing you need to know (and I knew this from the PH-10) that the main control has to be pushed in to start things going. After that, the front panel screen makes it easy to navigate through all of the functions with ease. Again, Gold Note has done a fantastic job with the human interface. Volume level is the largest part of the display with everything a bit smaller. A quick push of the button allows you to navigate to where you want to go, with a second push to make the adjustment. The IS-1000 can be easily operated without the remote control. 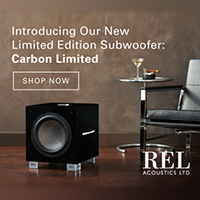 While here, we’ve used it with an incredibly wide range of speakers, from the power hungry Magnepans, to the fussy QUAD ESL and everything in between. 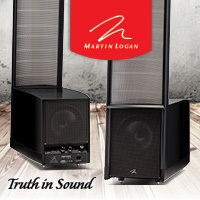 All were handled with ease, so whatever you speaker preference, the IS-1000 will serve your needs. Those wanting more power, or a multi-amplifier setup need look no further than the rear panel, with a variable output available. We tried this with a few tube power amplifiers, just to investigate different, and again, the IS-1000 works incredibly well. 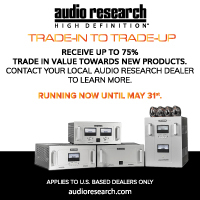 Though it would be a bit of a waste to spend $5,000 on an integrated amplifier and not use the power amplifier section, the rest of the IS-1000 offers a high enough level of performance, that it would still be a great DAC/Phono/Pre. 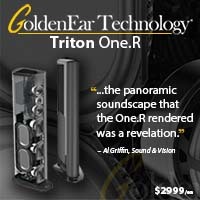 Perhaps the design team at GN would consider offering a future variation on the IS-1000, sans power amplifier at some point? For those still wanting to mix and match a little more, this would also be a fantastic product. 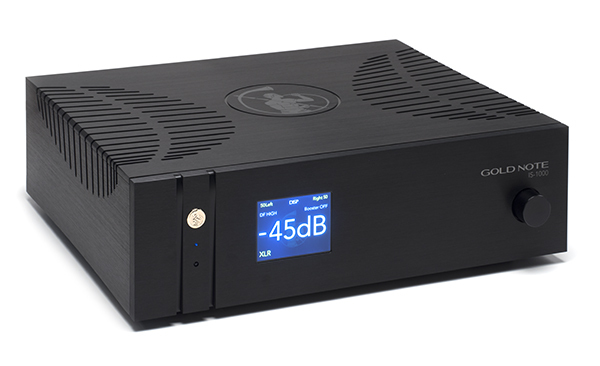 Forgoing class-D amplification in favor of a traditional AB amplifier with a massive power supply is a big part of what gives it such a natural, organic feel. The sound is ever so slightly on the warmer side of the neutral mid-point of tonal rendition. Where the Pass INT-60 offers a bit more tonal saturation than the IS-1000, our Simaudio ACE has a little less, if that helps to give you a bit of perspective before you audition the IS-1000 for yourself. Comparing the internal phonostage to the PH-10 we have on hand shows just how close the GN engineers have come. 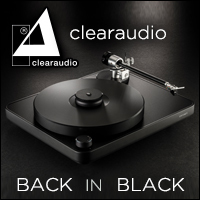 Connecting the PH-10 via balanced outputs, it was easy to go back and forth, with the Technics SL-1200G (utilizing my Gold Note Machiavelli MC cartridge) and hear the difference. Again, the on-board stage comes remarkably close, but it is worth noting that the PH-10 can be upgraded further with an external power supply for analog fanatics. Tracking through a handful of other great phono cartridges in the $500 – $1,500 range again, reveals the sweet spot, and when used with an appropriate turntable (perhaps one of those beauties from Gold Note…) will offer enough resolution to provide an immersive analog experience. It only takes a few tracks to realize that the phono is not an afterthought, merely trying to take advantage of vinyl’s current popularity. Listening to the recent Rolling Stones remasters, the combination of on-board phono and Machiavelli cartridge pulls out major details, while painting a very wide and deep soundstage with a low noise floor, even with MC carts. Bass is authoritative, and controlled, with an equivalent level of smoothness in the higher registers. Cymbals sound smooth and acoustic, stringed instruments feel correct. The main area of difference from the PH-10 is its lack of adjustability. 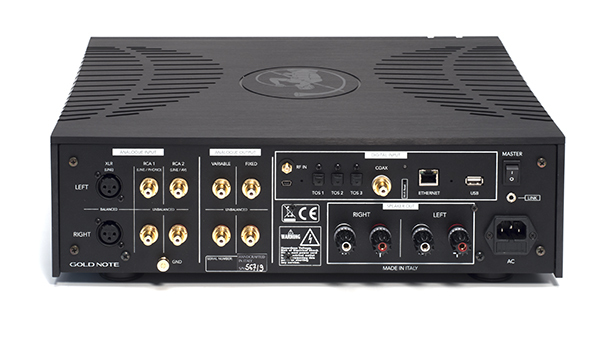 Where the stand-alone phono offers multiple gain, loading, capacitance and EQ settings, the on board phono of the IS-1000 is set at 45db/220pf for MM and 65db/470ohm for MC. However, this will accommodate quite a few cartridges, so all but the fussiest users will be just fine, but again, keep this in mind if you already have a cartridge that you love. Those starting from ground zero merely need to purchase a cartridge within this range. Compatible with every digital file and streaming option you can imagine, makes the IS-1000 incredibly versatile. At the close of this review, Gold Note just announced there is-1000 DAC Deluxe, featuring the BurrBrown PCM1792A chipset instead of the PCM1796 in our standard version. There has been no mention of what the additional cost is, or if existing IS-1000s can be updated, by just plugging in a new DAC board. So if your music selections lean more (or exclusively) to the digital side of life, this might be worth investigating before writing the check. Love it or hate it, the IS-1000 is equipped for decoding MQA files, and being on the “I like MQA” side of the fence, I’m glad that Gold Note left nothing out, especially considering the ROON endpoint capability makes it so easy to stream TIDAL files encoded in this format. 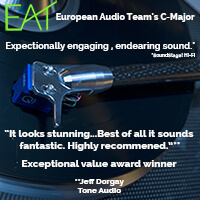 Everything I tried, from the oldest classic rock tracks, to recently released faire proved sonically delicious. Like the rest of the IS-1000, the digital and streaming options all worked without incident, and did not require consulting the owner’s manual. All wireless devices synced up without problem, and ROON quickly found the IS-1000 as an additional zone. Thanks to a recent firmware update, controlling volume in the digital domain is excellent, making it easy to control the volume of your streaming based system with no more than your laptop, phone or pad. This is also good news for the future. Knowing a simple firmware upgrade is only a download away, goes a long way at making the IS-1000 that much more future proof. And in the end, an even better value. 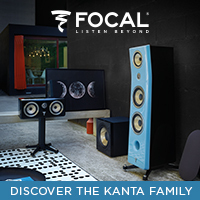 After a number of speakers were tried, we settled on the GamuT Zodiac for all final listening and evaluation. In the context of a world class, $150,000 pair of speakers, the IS-1000 is still more than worthy, and when using it in this manner, there is no place for the amp to hide. 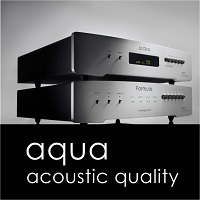 Merely streaming TIDAL via Roon with the Zodiacs is a completely immersive experience. 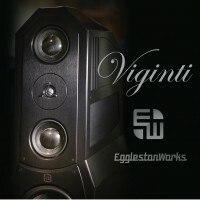 Only when comparing the IS-1000 to much more expensive and sophisticated integrateds from CH Precision and Vitus Audio (5 and 10 times as much) do you see where the limits of the IS-1000 are. The last bit of smoothness and resolution will cost you five figures though, and for most music lovers, the level of performance that the IS-1000 does offer is outstanding. And we never ran out of power, unless pushing the Magnepans really hard. 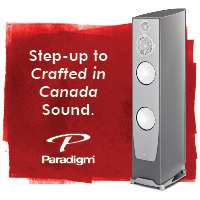 With nearly any other speakers, you’ll have to turn the volume up way too far to get the amplifier to clip. But in the context of the IS-1000s cost, it is at the top of the game. Using the IS-1000 with the entire range of compact speakers from issue 92, and a few others on hand, we feel that you could add a turntable if so inclined, your favorite pair of $2,500 to $10,000/pair speakers, a pair of good speaker cables, maybe a premium mains cable and end your quest for high end audio right there. 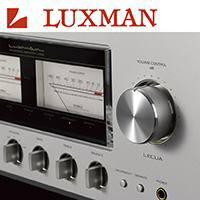 We are so enamored with Gold Note’s IS-1000, that we awarded it our Product of the Year in the Amplifier Category for 2018. The IS-1000 is a major step above so many of the other offerings we’ve heard in the way it offers a total package. Aesthetics, functionality, and sonic performance are all a 10+.